The term “ragweed” is often used to describe the group of plants that create ragweed pollen, which is a highly allergenic substance that affects up to 30% of Americans each year. 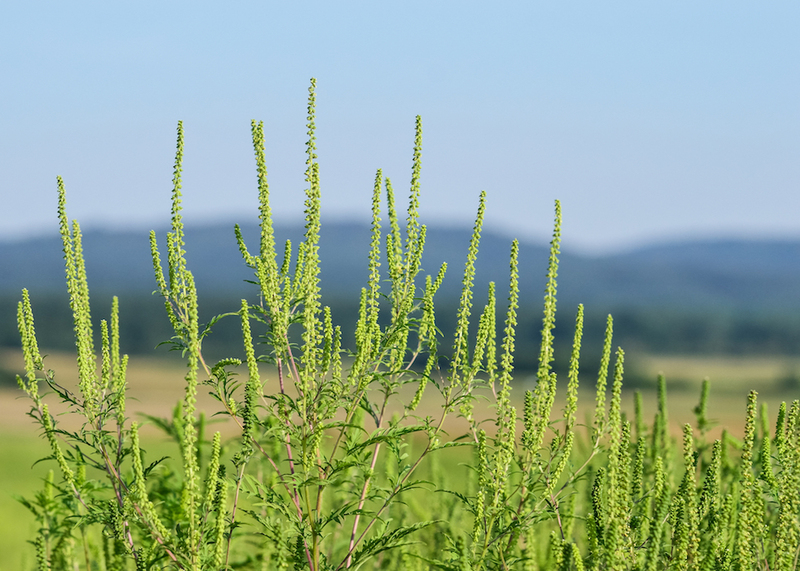 There isn’t just one plant called ragweed that produces this allergen, there are dozens of them, with a whopping seventeen species in the United States alone. Sometimes they’re also called bursages or burrobrushes. A single ragweed plant has the capability of producing over one billion spores of pollen each season, and these spores can then travel up to four hundred miles away from their origin. Suffice it to say, it is very common, and chances are high that you’ve felt its seasonal sting. If so, you’ve probably tried dozens of ways to relieve yourself from the symptoms of ragweed allergies and have found that it’s hard to find the right combination of safety and effectiveness for your alleviation. But the answer to your ragweed allergy symptoms may be as simple as a xylitol sinus rinse. Where Is Ragweed Prominent in the US? Due to the many species of ragweed plants, they can be found in tropical, subtropical and even desert regions all around the country, and are found in every single state. The common ragweed, also called Roman Wormwood, is itself located in every state except Alaska. If your goal is to avoid ragweed pollen altogether, then you might want to rethink your strategy: it’s everywhere, and you’ll have a hard time avoiding it. The better strategy is to protect yourself against it, which we’ll go into further detail in a moment. What Times of the Year Are People Worst Affected by Ragweed? 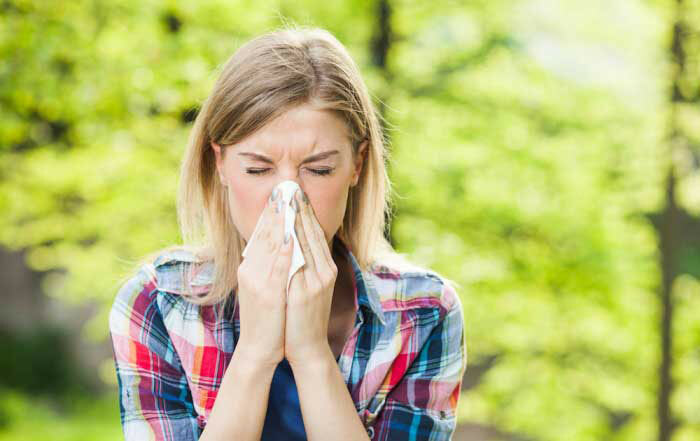 If you suffer from spring allergies chances are you’ll have some problems during fall allergy season too. 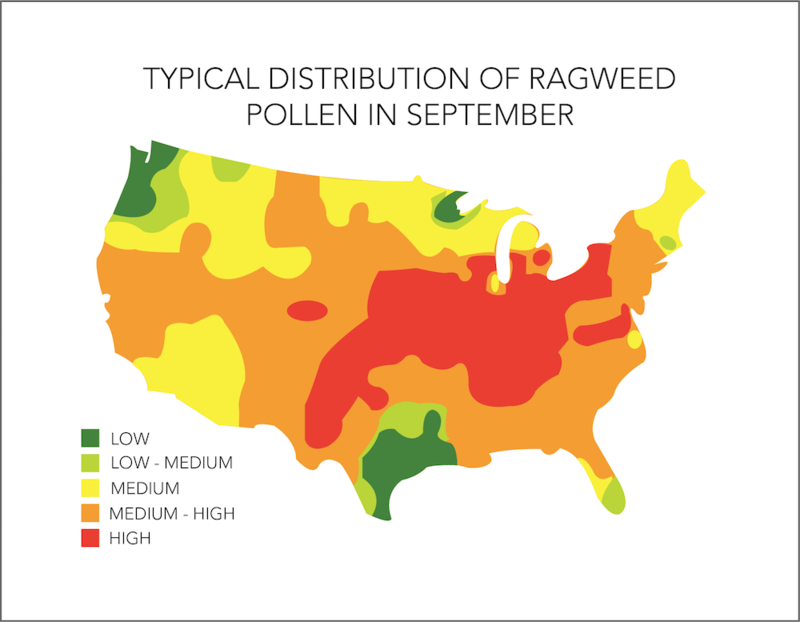 The peak season for ragweed allergies arrives in late summer or the beginning of fall, usually around mid-September when the ragweed pollen count is highest. Ragweed pollen induces what is called allergic rhinitis, more commonly known as hay fever. Since each ragweed plant has the capability of producing such a high number of pollen spores, the ragweed season, can last well into November. That’s a four-month span during the year in which you need to be on the guard against ragweed allergens. Why do People Have a Ragweed Allergy? Any allergy is best described as an overreaction of the immune system to a specific allergen. Some people are born with a sensitivity to ragweed pollen, which causes this overreaction. Others develop this sensitivity over time. If you suffer from one type of pollen allergy, there is a chance you could develop an allergy to ragweed as well. People with other respiratory issues such as asthma also have a high chance of developing a ragweed allergy. Is Ragweed Allergy Season Lengthening? A team of scientists has found that increased climate change is lengthening the allergy season, particularly in the northern half of the United States, by thirteen to twenty-seven days in some areas. One report found that allergy season has lengthened by twenty-five days in Kansas City. Depending on where you live, that’s nearly a month longer than usual. So make sure you’re aware of the pollen count as the season draws to a close—you don’t want to get caught unaware and have an allergic reaction when you thought you were finally safe from the invasive allergens. The symptoms of your allergic reaction are your body’s defense mechanisms against the allergen. They are not the issues you need to resolve if you want to tackle the overall problem at the core. Most over-the-counter medications will provide symptom relief, but you don’t want relief from your body’s defense mechanisms. You want relief from and protection against the core of the issue: the allergens themselves. Many ragweed allergic reactions take root in the nose, due to inhalation of pollen. If your sinuses are healthy and protected against allergens, you can inhibit many symptoms from even taking place. But what can you do to guard against ragweed pollen? Pay attention to local pollen counts. You can use the weather.com allergy tracker to see what types of pollen are in your area, and how severe they are. Change filters on your air conditioners, heaters, automobiles, and anything that allows air into your home from the outdoors. Stay indoors during peak seasons, especially when the pollen count is high. Wash your hands often, and shower regularly. Your hands can carry a lot of pollen spores, and if you rub an itchy eye with a pollen-coated hand, your eye isn’t going to like that very much. Use medications as a last resort. Medications, especially over-the-counter medications, restrict the body’s natural defenses. Some over-the-counter nasal sprays can become addictive if relied on too heavily. Some medications can cause rebound, which can make your symptoms worse. Xylitol is a natural ingredient that safely raises the tonicity of the saline solution, allowing for it to pull more moisture into the nasal passage. This action effectively washes your nose of ragweed pollen. A regular saline rinse can increase the concentration of salt in the airway fluids, thereby drying out the sinuses and causing a burning sensation when used. However, the Xlear Sinus Rinse Solution has xylitol so it doesn’t dry out and cause damage to the nasal and sinus passages. Studies have shown that a xylitol sinus rinse is more effective than saline alone—that’s why doctors, ENTs, and allergists recommend it to their patients. Pull extra moisture out of swollen nasal tissue, and reduce sinus tissue volume. Effectively thin the nasal mucus and assist the body in ridding itself of airborne contaminants. The thinning of the mucus allows the cilia in the nose to more easily dispose of it and thus the allergens causing your symptoms. Keeps nasal passage moist and healthy. Coats and protects the nasal and sinus tissues. Not only will you feel better after using a xylitol sinus rinse (no burning sensations! ), you’ll be able to breathe normally during ragweed allergy season without the constant nasal congestion and itchy nose. The xylitol saline solution works in tandem with your body to get rid of the allergens and inhibit the onset of symptoms. In effect, you can have cleaner and clearer sinuses when using a xylitol sinus rinse.